Wedding themes can be fun and fit into any couple’s budget. 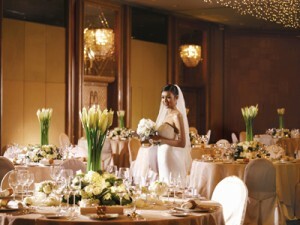 You don’t have to put on a posh and pristine affair in order to wow guests and make your day memorable for one another. If you are planning on having a summer wedding, consider hosting a bonfire themed wedding! This works wonderfully if you are getting married on the beach, if you have access to an abundance of acreage, or are simply a country-loving, outdoorsman at heart. Be sure to exchange vows later in the evening, just as the sun sets, so as darkness falls; the emphasis is on the festive fire! Whether you want guests to sit on large spread out blankets, or rustic Adirondack chairs or long wooden benches; seating is key to hosting a proper bonfire wedding. You can provide these festive seats, or encourage guests to bring their own; based on your budget. All seats should be arranged around your wood-burning fire pit. If you are hosting a very intimate bonfire themed wedding, you can totally get away with using a medium sized, portable fire pit (which you may already own, or can borrow from a friend or family member). You can opt to use a gas powered pit for a zero maintenance evening, or have a pile of wood close by to keep the fire hot and blazing into evening hours. If you are having a large wedding, building a large fire pit is key. You also need plenty of wood to last throughout the night, and may want to consider hiring someone to maintain the fire (or simply ask a pal) so you can enjoy your evening and not have to worry about keeping the fire going (or getting super dirty). One of the best things about a bonfire is enjoying acoustic tunes. Encourage your musically inclined guests to bring their guitar, or budget for a local musician to join in on the fun and entertain your guests for an hour or two! No bonfire is complete without s’mores. In fact, this delectable dessert can be passed around in forego of your formal (and expensive) cake. Simply pre-bag marshmallows, graham crackers, and chocolate bars and have dozens of long, cleaned sticks in a large basket sitting out for your guests to grab and gobble when they are ready to! Be sure to have plenty of mood lighting, in addition to your roaring fire. Line nearby trees and bushes with white string lights, set up lanterns, and light tea lights and place them in mason jars; setting them all around your venue. Be sure to have a basket full of extra blankets for your guests to utilize as the evening gets chilly, and have a wooden table set up nearby with buckets or coolers of beverages and other light refreshments! One of the best things about hosting a bonfire themed wedding is that it is a totally laid back, carefree event which is big on charm and comfort; but is not a burden on your budget. All you need to do is tell your guests to arrive in comfortable, warm clothes and get ready to celebrate the burning hot love you have for one another! So you are finally ready to tie the knot – and now you’re knee-deep in planning mode. But before you can start shopping for your dream dress or sending out invites to your loved ones, you need to choose your best wedding reception location. Choosing a wedding reception location can be a surprisingly difficult task. You might have a few ideas of what you’d like in mind – however, venues can be unavailable, or too expensive, or not exactly what you’re looking for. If you’re worried you won’t be able to choose the best wedding reception location, take a look at these helpful tips and techniques. Choosing a wedding theme is much easier than finding a wedding reception location. After all, knowing your theme narrows down the venues where your reception can take place. Sit down with your fiancé and talk about what you both want from your wedding. Are you beach people? Do you love the idea of a traditional church wedding? Do you want to get married in the great outdoors? Once you understand what theme best reflects your relationship, you’ll be in a much better position to choose an ideal wedding reception location. What’s Near Your Wedding Ceremony Location? Many couples opt to have their wedding ceremony in the same location as their wedding reception. If you’re not doing this (for example, you want to get married in a church), narrow down venues based on the location of the wedding ceremony. You don’t want your wedding guests driving for over an hour just to get to the reception. 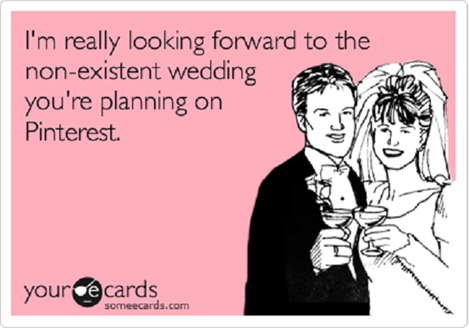 The size of your wedding invite list will undoubtedly play a huge role in choosing the best wedding reception location. Fortunately, you don’t have to have a specific idea of how many people are coming – you just need a general number. When you’ve narrowed down reception venues, call up the owners to ask how many guests they can accommodate. You’ll usually find that your final reception choice will be determined by the size of the venue. What Fits in Your Budget? Of course, you’ll need to keep your budget in mind when choosing your wedding reception location. On this point, it’s vital for you and your fiancé to decide on how much you can spend for the wedding. You don’t want to blow your entire budget on the reception venue – after all, you still have to buy your dream dress and wedding invites! You can maximize your wedding budget with save-the-date and wedding invitations from Save the Date for Less. For even more savings, ‘like’ us on Facebook and save 20% through July 31, 2012.